For centuries, tales of the goddess’s creativity, strength, and suffering have sprung forth from every civilization and corner of the world. 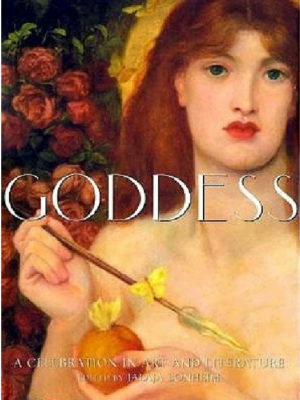 In this elegant volume, editor Jalaja Bonheim, Ph.D., has compiled a unique and culturally diverse anthology of literature and art to reveal the many guises of the goddess. From the Navajo goddess who weaves the world like a spider weaves a web to the African goddess who gave the world fire, the power of the goddess is revealed through her stories. The ever-popular goddess of love appears as Aphrodite in Greece, Laka in Hawaii, and Shiratamahime in Japan. Wisdom, compassion, and healing are manifested in the radiant Kuan-Yin of China, the Wisdom Mother in Buddhism, and the Butterfly Woman of North America. Conversely, dark and dangerous goddesses appear dancing among burial grounds or, as in a Middle Eastern myth, sitting enthroned in the underworld receiving the souls of the dead. 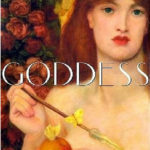 Goddess: A Celebration in Art and Literature contains stories, poems, and songs from ancient Greece, Rome, Egypt, Africa, China, India, Ireland, and the Americas. Many of these tales are recounted by such noted authors as Lucille Clifton, Diane Wolkstein, Clarissa Pinkola Estés, and Joseph Campbell. This highly-illustrated anthology is intended for general audiences, from aficionados of goddess mythology or fine art to serious connoisseurs of multicultural folklore. Goddess is a lavish, elegant volume combining stunning art from all over the world with the best in storytelling, poetry, and world mythology. Let’s be clear: When we invoke the sacred feminine, we’re not saying that God is a woman. That would be ludicrous. We’re pairing the two concepts of divinity and femininity because doing so can unlock certain chambers in our psyche. No relationship is more intimate than that of mother and child, who are of the same flesh, the same substance. So in one fell swoop, the image of the divine Mother can melt away the sense of separation that many people feel when they conjure up the image of an omnipotent father.